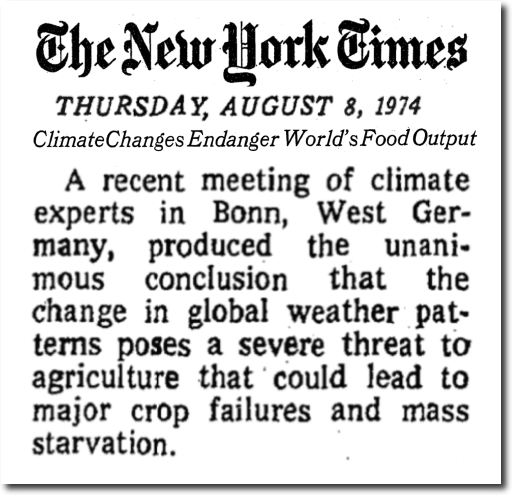 A recent meeting of climate experts in Bonn, West Germany, produced the unanimous conclusion that the change in global weather patterns poses a severe threat to agriculture that could lead to major crop failures and mass starvation. and it will save us even more. were ever a real thing but made up by those who were so powerfull to give a nobody like Hansen the chance to speak in front of the congress. Until recently, GE was the longest running company on the Dow. The decision is a fresh blow to General Electric, which has stumbled badly in recent years. Replaced by Walgreens no less. I’m owed a little pension from GE someday. Last year they offered to buy it out. Perhaps I should have accepted. Knowing what I know today, I would. 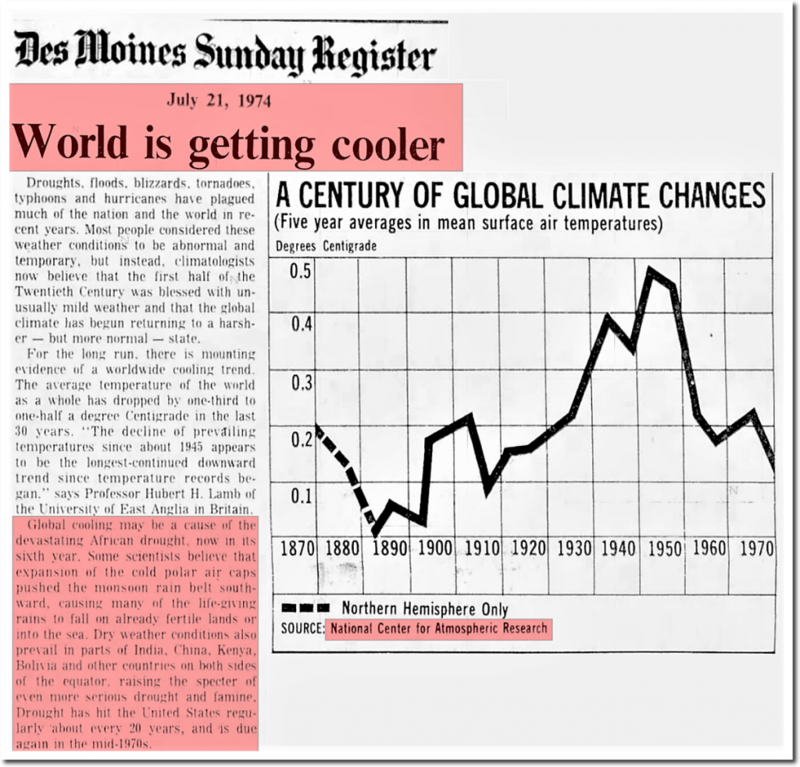 Yeah, I remember seeing that temperature chart being published in many magazines and newspapers. About three weeks ago, Tony noted that the weather forecast for the Arctic was for cooler than average over the next few weeks. Got to thinking about the source. Then was hit by a 4/10 “Eureka!” moment. Much cooler than normal on the Daily highs and somewhat cooler on the lows. For the next two weeks, which will be getting close to the end of the “melt” season. 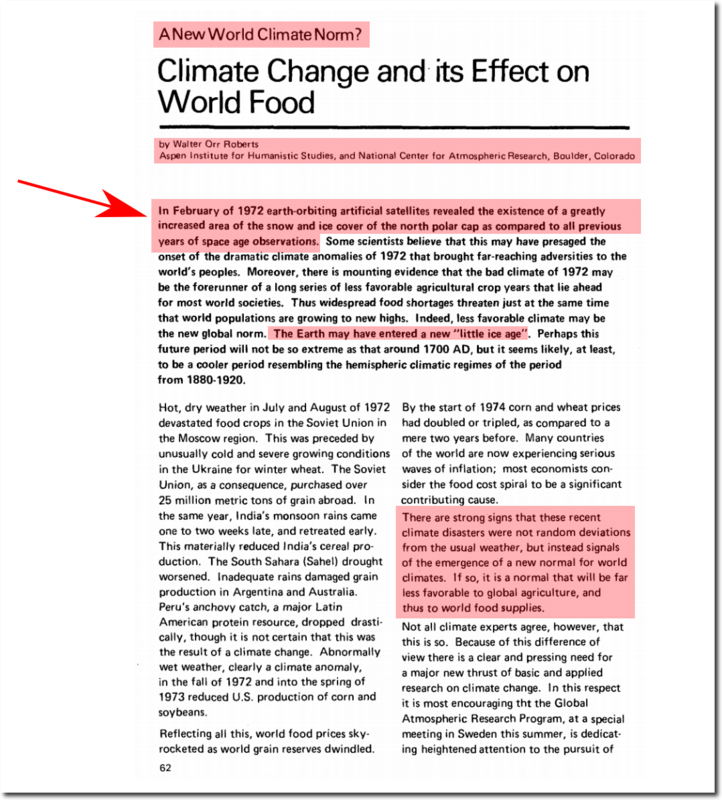 Later Schneider became a big cheerleader for M@nn-Made Global Warming. Another phony-baloney media whore following the latest public fad. You are too hard on him, gregole. Certainly Walter Orr Roberts was aware of this, so when the PDO numbers flipped, so did the forecasts. Schneider was just along for the ride, as he had been previously with Carl Sagan and the Nuclear Winter gang. He should have made a progressive “Double Ethical Bind” flick out of his PowerPoint, collect millions and go for a Nobel. That’s great. Using a fictitious scene to prove an imaginary one. I want to adopt the phrase. Is it cultural appropriation? Well the Polar bear icon isn’t working out so they go for Santa. 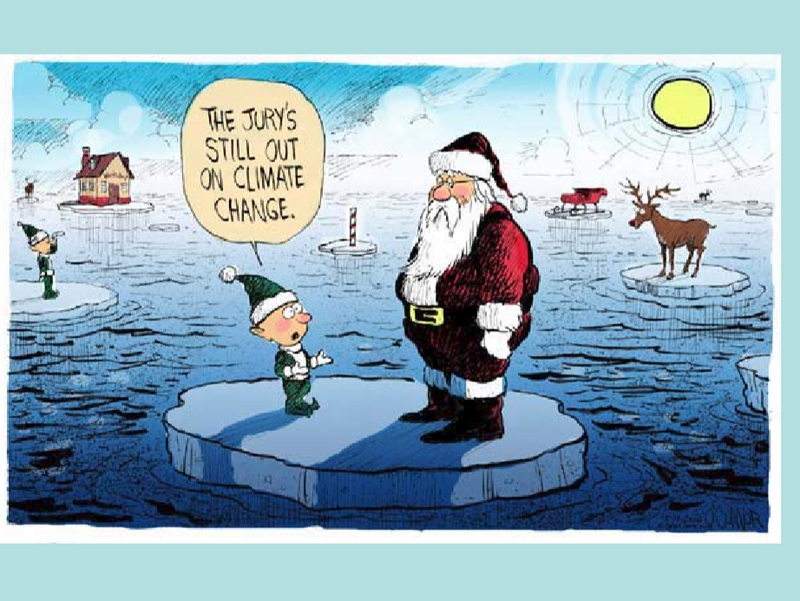 So arrogant in their ignorance that despite the massive evidence accumulated down through the years they deny that Kris Kringle is so far advanced that no weather nor change in climate can disrupt his operations or keep him from his appointed rounds. Santa must keep quite a pile of coal on hand to put in their stockings. That’s not science, that’s the EU party line. ‘Nuff said.